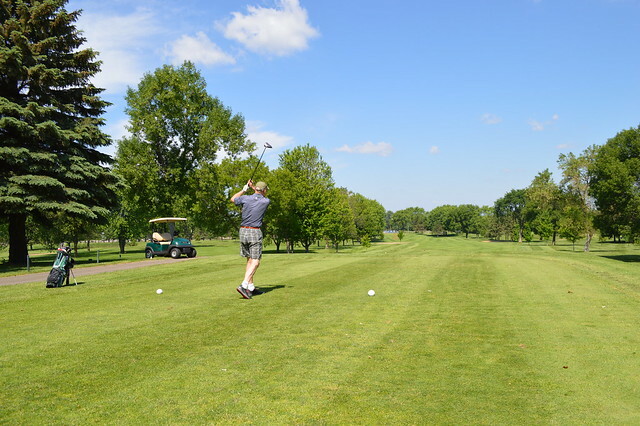 Goodrich Golf course is a challenging 18-hole, par-70 course. Its gently rolling hills create a relaxed atmosphere in a beautiful environment. Goodrich was voted 2015 Reader’s Choice Best Golf Course by Sun Focus readers! Large practice putting green featuring a tiered sand bunker. Full bar with 65-seat banquet room. In mid-season, Goodrich is open daily from 6:30 a.m. until one hour after sunset. Times may be adjusted due to weather conditions. Hours of operation vary during spring and fall, please call 651-748-2525 for details. Available four hours before sunset or after league play is complete. Goodrich offers adult and junior lessons to improve your game. Several leagues are also available.